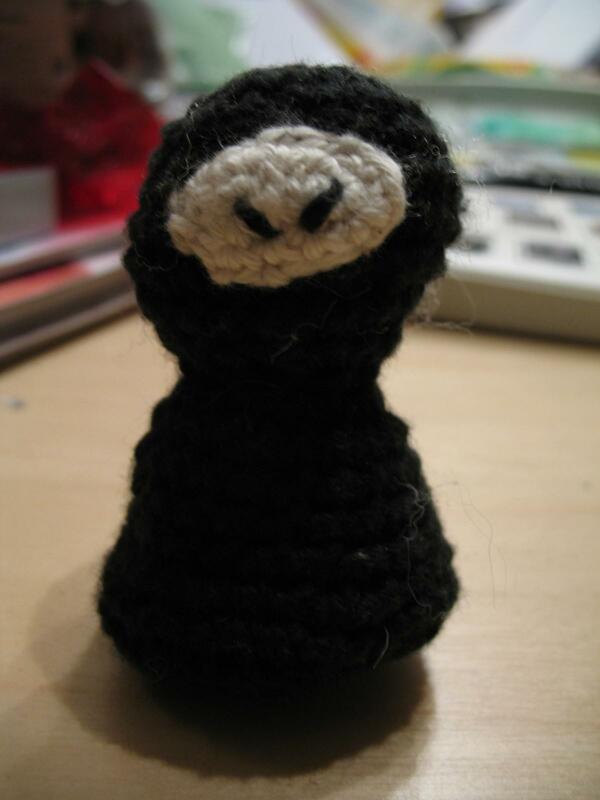 I had this crochet-itch yesterday, wanted to crochet something small. I can't crochet much thanks to RA but my hands felt good so I looked for my hooks and some yarn and decided to try my hands on a ninja. After some work, this fellow turned out a bit bulky, but not too bad.